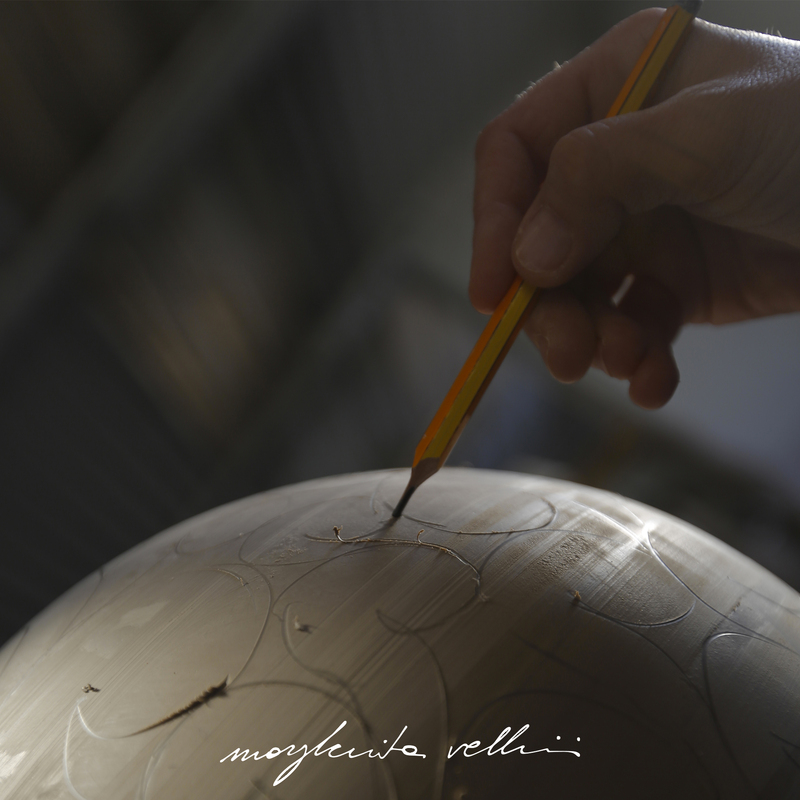 Margherita Vellini was born in Bardolino in 1969, fourth generation of a family of artists and artisans able to work with various materials and techniques. 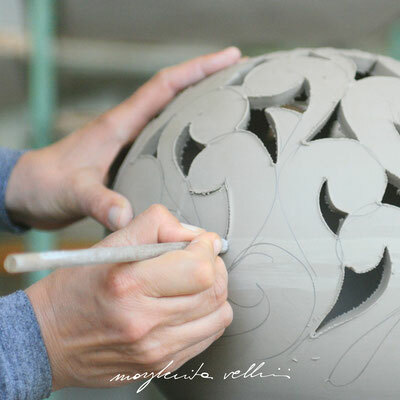 Growing up surrounded by art allowed her — already at a very young age — to practice painting and the art of ceramics in her father’s laboratory, as well as to develop her future work’s distinctive traits, such as: compositional talent, great manual skills and a deep understanding of light. Margherita continues expanding her skills and knowledge thanks to her studies, as she graduates in Ceramics at the Nove’s institute of Arts (VI). 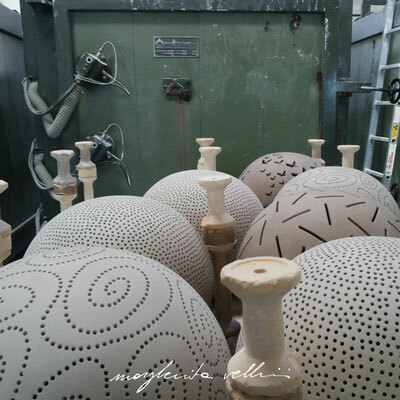 She opens her first laboratory in Asolo (TV) in 1999, but at that point her experience is already quite extended, as she has continuously had a ceramic kiln available to her since the age of ten. 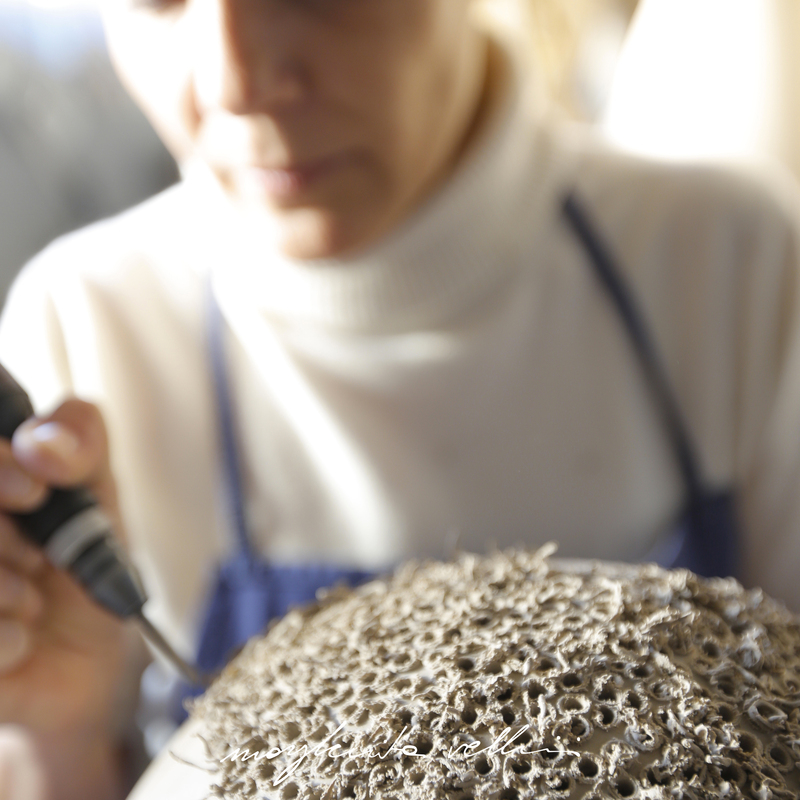 In her laboratory the entire production process is handmade, from the kneading to the cutting and enamelling. Everything is freehand, using tools built ad-hoc. 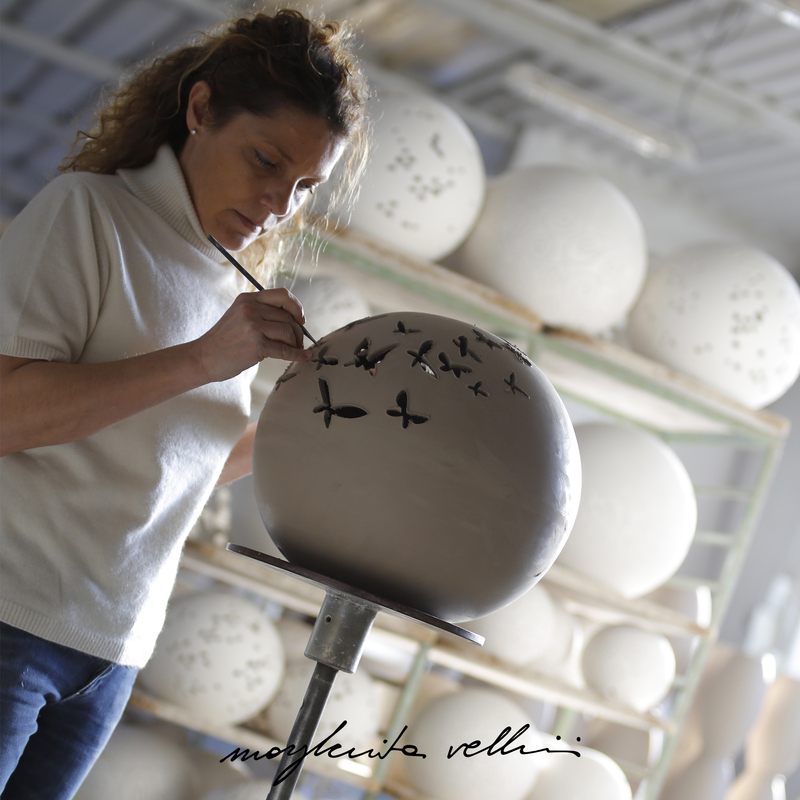 In 2003 she inaugurated her current shop in Bardolino, a well-known tourist destination on the Garda Lake. 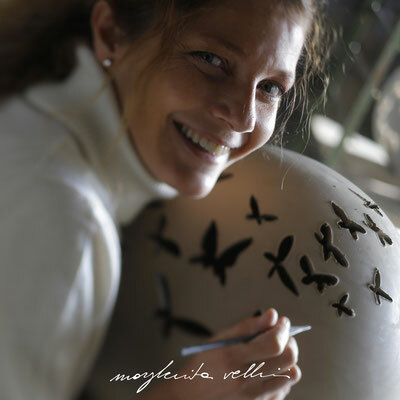 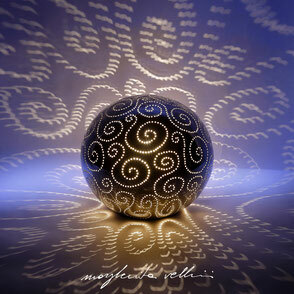 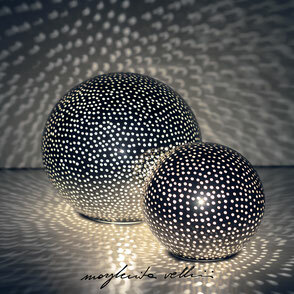 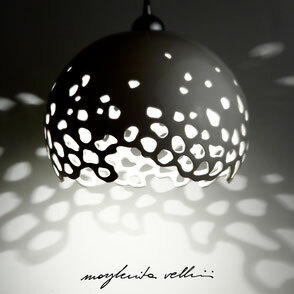 From there, her creations literally take flight to illuminate homes and offices throughout Europe.